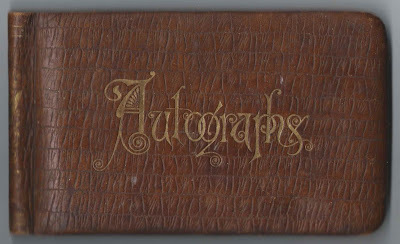 1884-1901 autograph album of Lena May Mitchell of Lewiston, Maine. 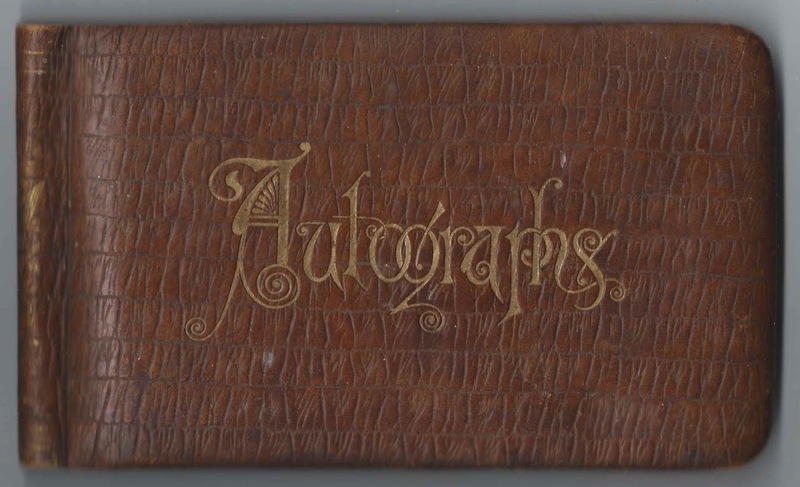 See a post featuring another of Lena's autograph albums here. That one has pages signed by 49 people, as opposed to this one, which has only 5. 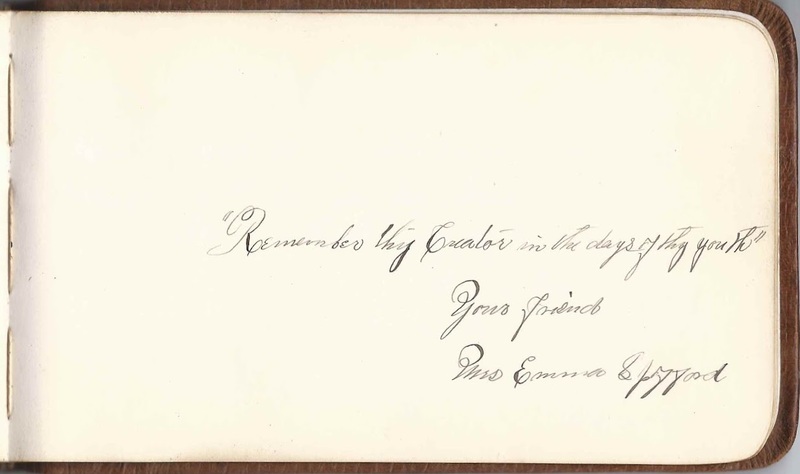 This album is approximately 7-1/4" x 4-1/4" and contains the sentiments of five people, two of them Lena's sisters. The Mitchell family was involved with the Shiloh settlement, "The Kingdom", founded by Frank Sandford at Durham, Maine. Information on The Kingdom and its members can be found here. 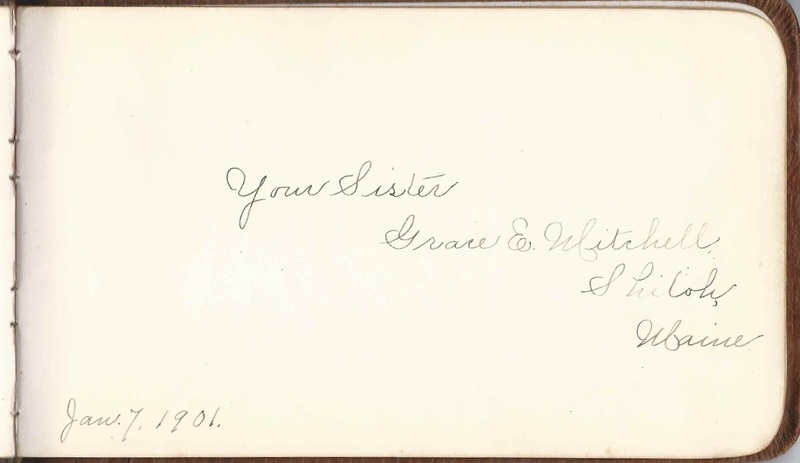 Grace E. Mitchell signed a page at Shiloh, Maine, on January 7, 1901. Grace Elizabeth Mitchell would marry Shiloh resident Frank Gordon McKenzie, who was born at Maitland, Nova Scotia. 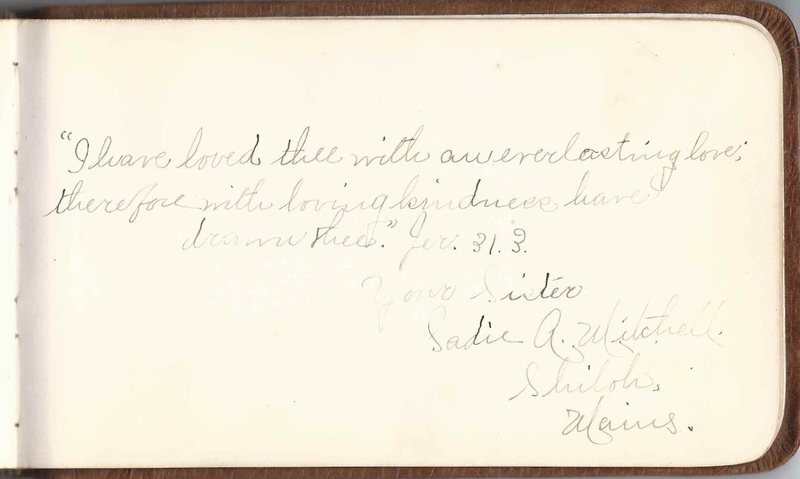 Sadie A. Mitchell signed a page at Shiloh, Maine. 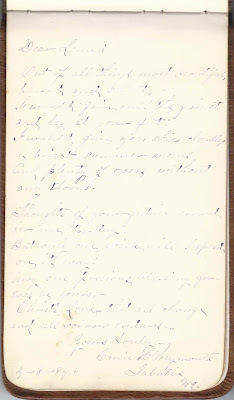 Sarah Adelma Mitchell would later marry Shiloh resident, Ernest Howard Tupper, who was born at Oakland, Maine. 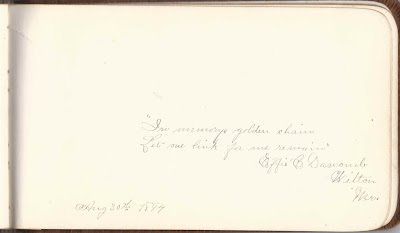 Effie C. Dascomb of Wilton, Maine, signed a page on August 30, 1884. Carrie C. Weymouth of Sabatis, Maine [now Sabattus], signed a page on 4-6-84. 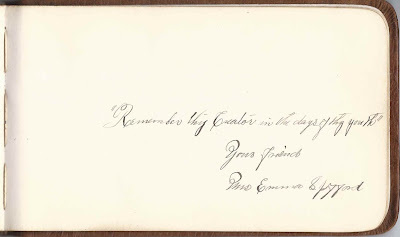 Mrs. Emma Spofford signed a page. Lena May Mitchell was born 16 February 1868 at Lewiston, Maine, daughter of Algernon Mansfield Mitchell and Sarah Maranda (Perley) Mitchell. On 26 March 1889 at Lewiston, Maine, Lena married Walter Elbridge Webster, son of Elbridge G. Webster and Henrietta Ardelia (Given) Webster. Walter was born 11 January 1863 at Lewiston, Maine. 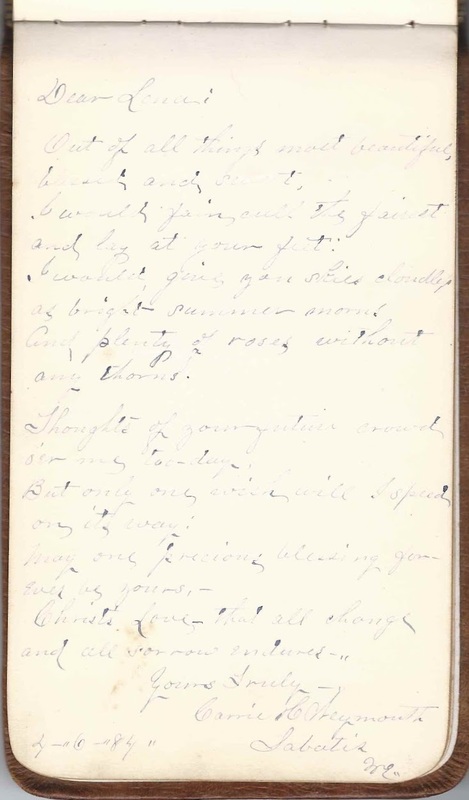 Lena and Walter lived at Wales, Maine, and raised four children. Lena died at Wales, Maine, in 1919. If you have corrections to the information above, or additions to it, please leave a message or contact me directly. Thanks!